This is the lower version of the Samsung Galaxy S8 Plus called Samsung Galaxy S8. They almost shared the same specs but there are still difference in their specifications; starting from the screensize and battery capacity. Though, they shared the same RAM size, internal memory, and the rest of them. 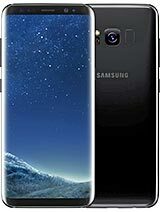 See below for the full specifications of Samsung Galaxy S8. See wack specs for that price. Still same as s7 edge. But 64 ROM. no radio, No IR blaster, still wack battery. Abeg, make dem shift.